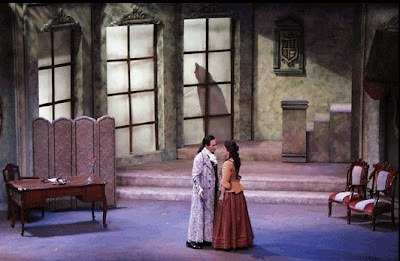 Seattle Opera Blog: Where is Mozart in LE NOZZE DI FIGARO? Where is Mozart in LE NOZZE DI FIGARO? It’s a Romantic conceit, and patently false, that great artists can only ever talk or write/compose/paint/etc. about themselves. With some—-Richard Wagner comes to mind-—it’s true, the artist’s extreme narcissism makes it helpful to know a bit about the creator if you want to understand the creation. But with others, that’s not the case. Shakespeare is probably the poster-boy for the artist who conspicuously DOESN’T write about himself all the time. 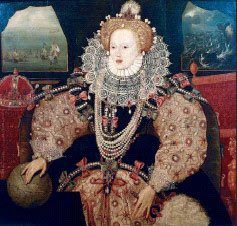 It may very well be this self-effacing tendency of his that has encouraged many people, over the years, to believe that Shakespeare’s plays were really written by Ben Jonson, King James, Pocohantas, or various other candidates. What about Mozart, where does he fit in? Does he project himself into his operas the way Giuseppe Verdi becomes all his great Verdi baritone roles, or fall in love with his characters the way Giacomo Puccini clearly fell in love with Mimì, Tosca, Cio-cio-san, etc.? Hard to say; I think most of us perceive, as did Peter Shaffer in (the play) Amadeus, that Mozart is Tamino, the Orpheus-like player of the Magic Flute. But Tamino is an ingenue without much personality, and studying him doesn’t really tell us what Mozart was like. (Nor, despite my great admiration for it, does Peter Shaffer’s Amadeus, play or movie!) 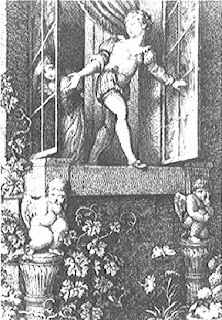 And the most interesting characters in Mozart’s three da Ponte operas may very well be projections of Da Ponte, who truly loved to write about himself—-just check out his memoirs. E stravolto m'ho un nervo del pie'! And I twisted a nerve in my foot! Mozart sets the first three lines to quick, tumbling music, probably just what Da Ponte was expecting; but then he asserts his own artistic presence as composer. He cuts Figaro’s rhythm in half and takes away the harmony (the orchestra just doubles Figaro after line 4); and Figaro illustrates his jumping with a melody that jumps downwards, and his pain with a tortured chromatic descent on line 5. CONTE: Dunque, in giardin verrai? SUSANNA: Se piace a voi, verrò. CONTE: E non mi mancherai? SUSANNA: No, non vi mancherò. C: So I’ll see you in the garden? S: If you like, I will come. C: You won’t fail me? S: No, I won’t fail you. But listen to how Mozart sets this little passage (brilliantly! ): first, the Count offers Susanna a gentle little folk-tune melody, which she promptly sings back to him. (First rule of flirting in a Mozart opera: singing another character’s tune to them is like ordering what your date orders in a restaurant, demonstrating that you can follow their lead and trust their decision.) They repeat the exchange, with lines 3&4, and then Mozart adds text that wasn’t in da Ponte’s libretto: “You’ll come?” “Yes!” “You won’t fail?” “No!” “You’ll come?” “No.” “’No’?” “Yes, yes, if you like, I’ll come!” The Count’s insistent questions confuse Susanna, and she almost gives away her true intentions. Why did Mozart add this little detail to the opera? Again, it may be simply great theatrical genius, because it always delights an audience to see Susanna—who is, after all, the smartest and most manipulative character in the show—almost screw up bigtime. Good singing actors can take this scene in different directions, but it’s the closest we come, in the opera, to the great threat that’s hanging over the entire plot, a romantic encounter between Susanna and the Count. The fact that Mozart decided to extend the scene makes me think that he wanted to spend a little more time in this dangerous, deliciously fraught moment, with the would-be lover desperately seeking reassurance that his fantasy is about to come true and the master manipulator discovering the limits of her power to manipulate. Which of them was Mozart? Probably both. I like these examples of Mozart's revealing himself by amplifying on Da Ponte's libretto. Are there any moments in Nozze when Mozart actually seems to disagree with Da Ponte and gets the music to indicate an emotional state different from that indicated in the words? There are a number of such moments in Cosi Fan Tutte, most notably in the final scene, when Da Ponte seems to think everything is jolly and fine, but Mozart breaks our hearts. I can't think of anything equivalent in Nozze, though. Thanks again for your fascinating and erudite posts, Jonathan. You do a brilliant job of illustrating your points with musical and video clips. I know what you mean about COSI, and even at times DON GIOVANNI. But no, with FIGARO most of the time the irony (and there's lots of it) seems to be something they planned jointly. Another little Mozart comment which I didn't point out the other day is the horn calls at the end of "Aprite un po' quegli'occhi", Mozart's horns teasing Figaro (who thinks he's a cuckold) as he keeps trying to cadence the end of the aria and they keep turning up little arpeggios. Probably Mozart thought that up and Da Ponte got a good chuckle out of it.